A new Gem is here. 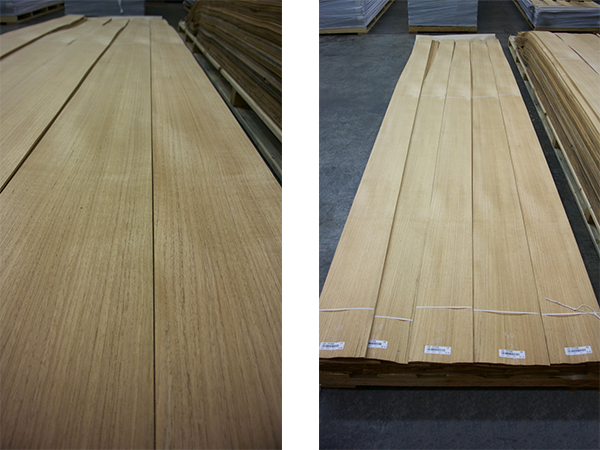 115,904 square feet of contrasty Black Limba quarters with lengths of 11’ and widths of 12”+. 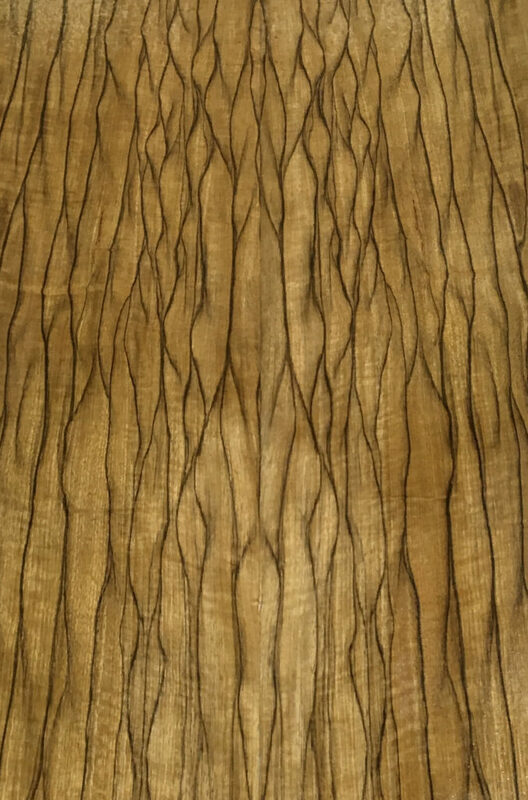 Black Limba has long been a well known and well loved species to designers. Luckily, it’s resisted becoming a trend and has remained a popular choice in exotic woods over the years. The size and dimensions of this log alone make it perfect for an architectural project but it’s the consistant, striking grain which makes it a real star. Ziricote. FLatcut. Minimal sap, lots of charater. Call today. Paldao is a vibrant, contrasty, visually interesting wood veneer. It originates from the tropical rain forests of South East Asia and grows on various Pacific Rim islands. The tree itself can reach heights of up to 40 meters and is supported by massive buttressing root structures. It’s grey-brown color and distinctive black stripes make it a popular choice in modern interiors. 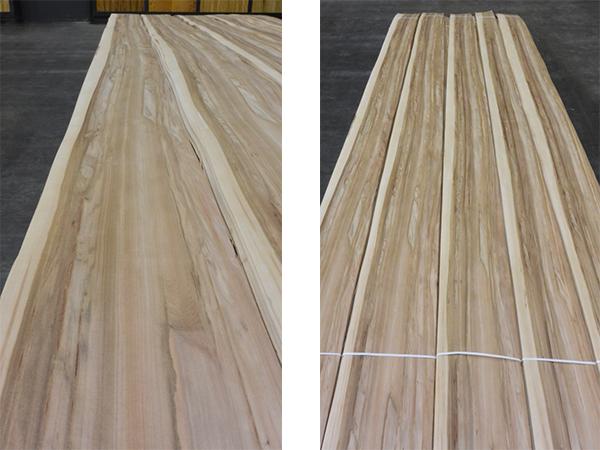 Interwood has procured an impressive range of Paldao logs in size, length, color, and type variations. This range of style and aesthetic means we’re more likely to have the right size log for your project budget and the right look for your client. If you think it’s too good to be true just take a look through our online inventory for Paldao. 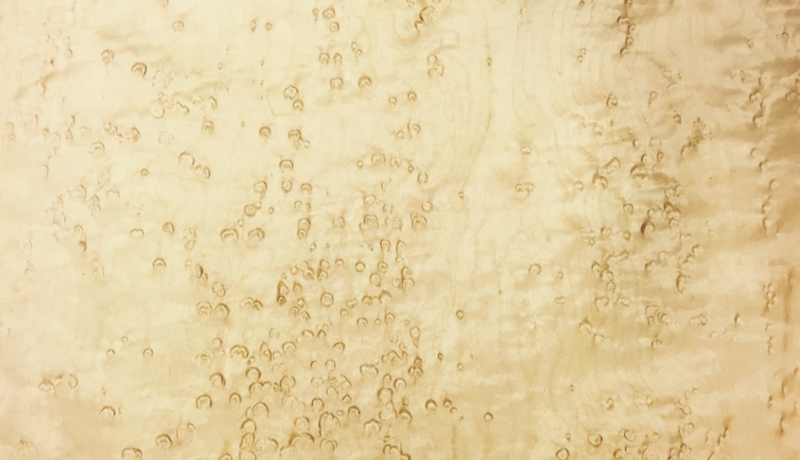 Ice Birch is a lively veneer specie originating from Finland and Russia. It’s a small but strong tree which shifts during growth, causing characteristic “islands” to form in the grain. 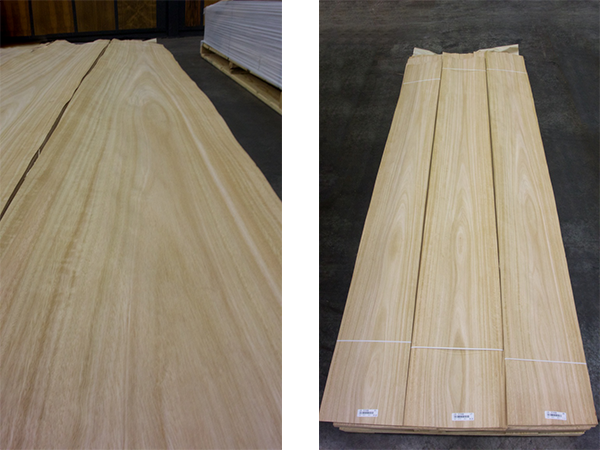 NEW to out inventory is this FIGURED Ice Birch featuring wide widths and great structure. Call in for samples! 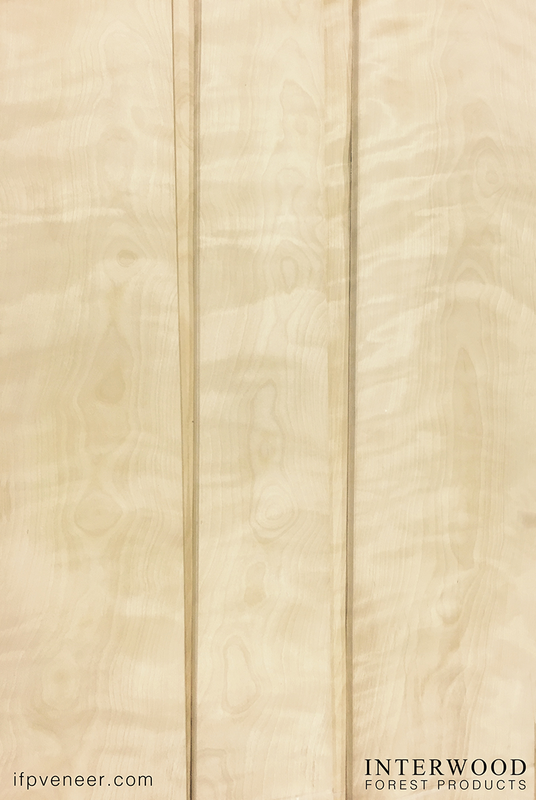 Birdseye Maple has long been used as a focal point in the highest quality architectural wood work. It is among the most expressive veneers of North America due to its combination of curly grain structure & quilted figuring. Its champagne hues are a suggestion of inherent luxury. Even the eyes can elicit the memory of bubbles rising from the bottom of a glass. The opulence of this veneer is most evident in fine jewelry boxes, executive suites, and fashionable interior accents. 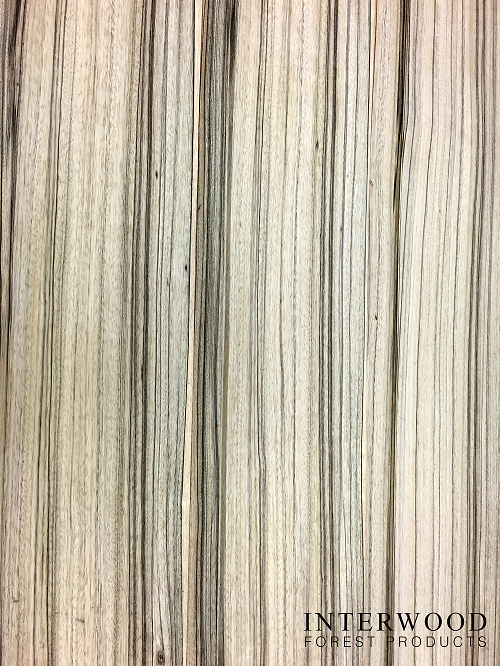 With several of these logs in our inventory, you have the unique opportunity to select the look you desire for your project. 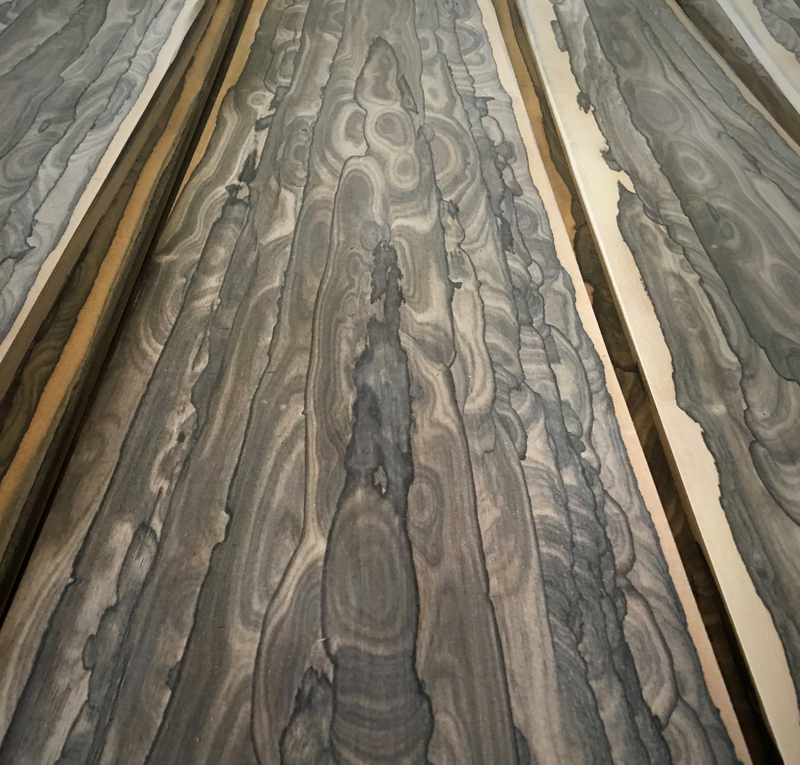 After working 41 years in the high-end exotic wood industry, Interwood has pretty much seen it all. We have seen remarkable trees in all colors, grains and figure types and on very rare occasions we find things which we never expected to exist. In this case, we are proud to share with you a one of a kind freak of nature, BIRDSEYE ZEBRAWOOD. A combination of color, grain, and figure type make this log a distinctive, unique, and unparalleled Gem of the Forest. White Oak is used universally across all branches of the woodworking industry due to its resistance against external influences. This log’s “pippy” figure is characterized by sound knots dotted throughout the grain. “Pippy” Oak is currently in style in architectural woodwork due to its rustic appearance. This Teak log is 118 to 158 inches in length with 5,151 square feet. Light in color, blond, with straight grain, log number: DFS74996. Teak is one of the oldest commercial lumbers in the world. 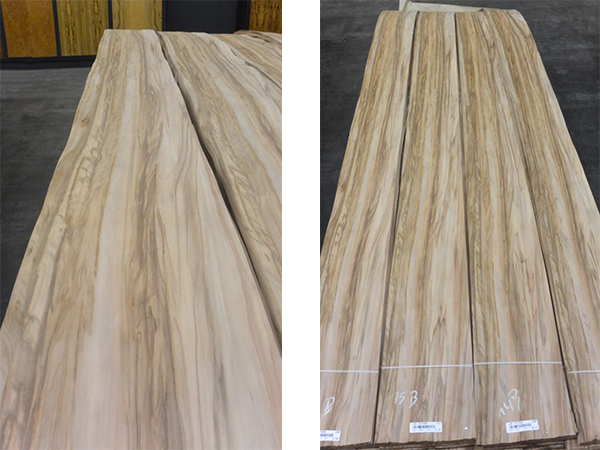 In the veneer trade a difference is made between Blond Teak and Contrasty Teak. The wood has a slightly oily surface. 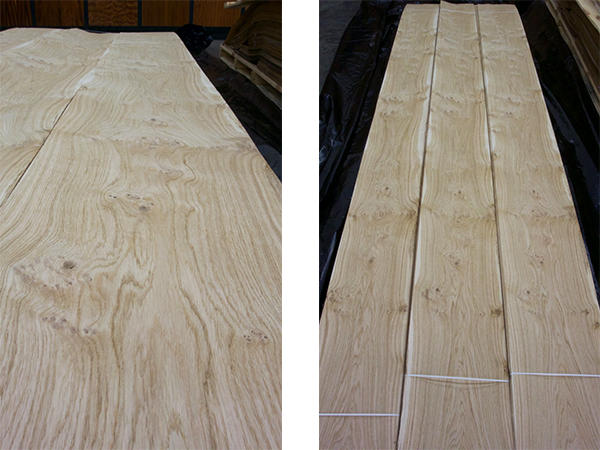 This teak log is Blond, light in color, with straight grain. Eucalyptus originates from Australia but is grown successfully in every continent except Antarctica. Figured Eucalyptus is popular around the world in architectural woodwork, exclusive furniture, and ship interiors. The wood can be a range of colors from cream, to pink, green, red, yellow, and brown, as well as a range of figure types from mottled, bee’s wing, fiddleback, to pommele. Red Gum, also called Satin Walnut, often has a silky sheen. It’s heartwood when book matched along its sap wood can create an extremely decorative result and is therefor widely valued when veneered. 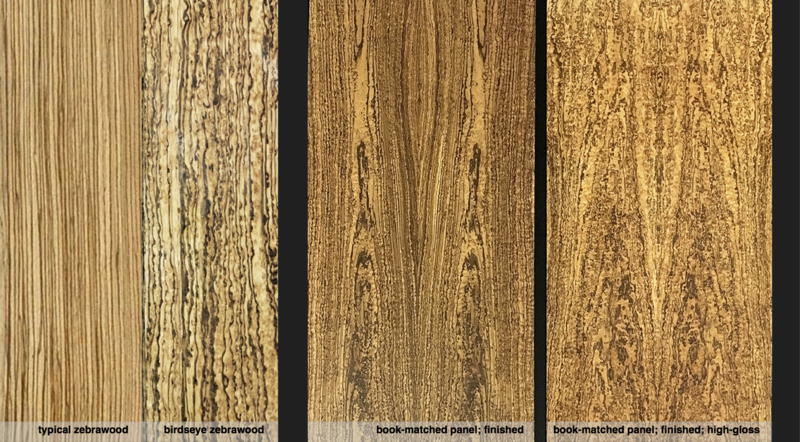 This combined with its alternating red and brown heartwood makes it particularly desirable in architectural woodwork.